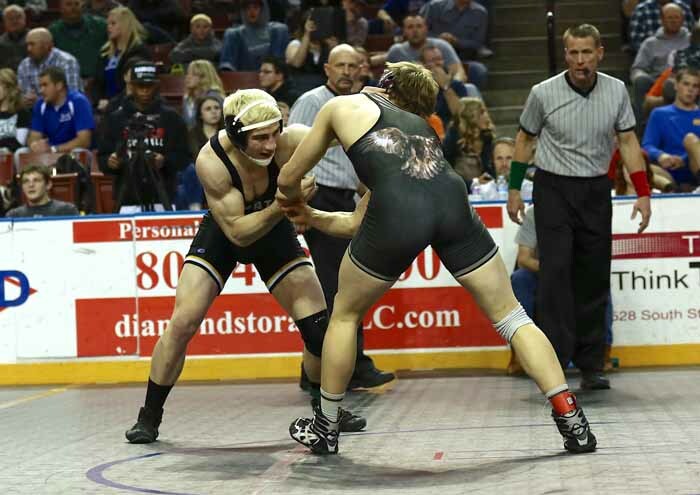 After finishing third in the state at the 2014 Class 4A state wrestling championships, Wasatch has continued to climb the ladder, primarily based on its overall depth. A year ago, Mountain Crest won state despite seeing Maple Mountain dominate in individual championships, but this season, the Wasps are looking to put together the winning combination of multiple individual titles combined with a ton of scoring wrestlers. As the teams head towards the state championships, Wasatch is the top-ranked team in the state, with the Mustangs close on its heels. Maple Mountain is extremely strong at the top, but does not appear to have qualifying wrestlers in enough divisions to get back on top. If the Golden Eagles can sweep the top spot on the podium, that might change, but let by wrestlers like 113-pounder Braiden Parker and 170-pounder Payton Mair, the Wasps are strong. With every sport you look at, there are different types of athletes with very different backgrounds: those who can start a sport and excel in a few short years, those who have been participating for years, those whose parents had little influence in the sport chosen; and those for whom it runs in the family, whose parents participated in the same sport. 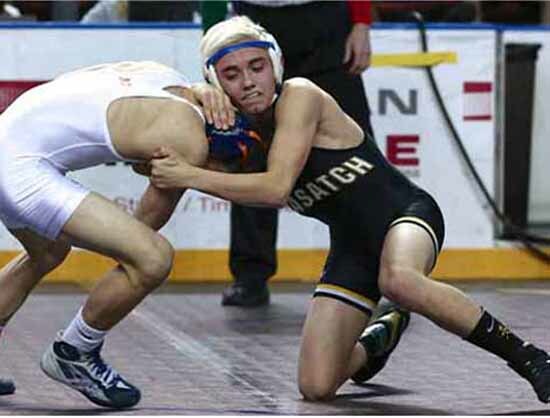 At Wasatch High School, there is an up and coming wrestler, 17-year-old Braiden Parker who has been wrestling for about 12 years, who was introduced to the sport by his dad. Parker is one of those athletes influenced by a parent who was also in the same sport. His dad was a wrestler, and Braiden immediately took to the sport and has been wrestling ever since. With a large and deep pool of wrestlers in the program at Wasatch High, head coach Wade Discher, three assistants and many other people who come in to help, there is a lot of direction to mold wrestlers and prepare them for state championship competition. The wrestling season for Wasatch High goes from November to February, but Parker wrestles year round. Strength training, on top of the daily workouts, sometimes twice a day, have paid off for Parker and his teammates, giving them the stamina to win in big tournaments. A junior this year, Parker has won 35 of his 40 matches after winning state in the 106-pound division last year. He hopes to take state again this year individually, where he is now competing at 113, and for his team, and to that end, Parker has spent much of the season as the top-ranked 4A wrestler in the state at that weight. Success and his enjoyment of the sport continue to feed Parker’s goal is to get a scholarship through wrestling and continue to participate through college. 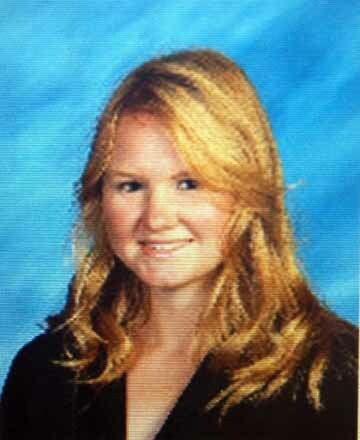 Payton Mair is an 18-year-old senior at Wasatch High who has been wrestling for six years. 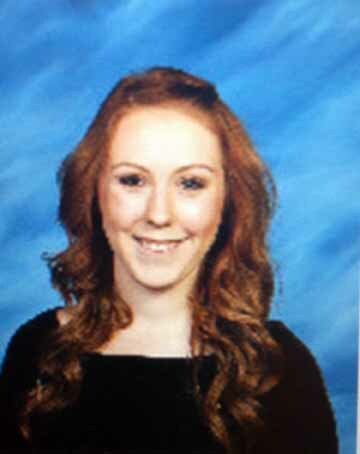 He entered high school, and was immediately wrestling with the varsity during his freshman year. He had a .500 record that first season, but fortunately made it to the state tournament his freshman year in the 150-pound weight class, which is valuable experience especially since he sat out his sophomore season. Mair did not wrestle his sophomore year because of personal matters, so when he came back his junior year, he did so as somewhat of an unknown. It wasn’t until he made it to region and state, even after taking a year off, that everyone knew he was someone to watch. It was a wonderful comeback. Now a senior, Mair competes at 170 pounds and he has been a top-ranked competitor most of the season. Unfortunately, in this, his final year of high school wrestling, he has had some injuries, including a pinched nerve in his neck that impacts his left arm and also a rolled left ankle. Mair attributes his success to the motivation he gets from three coaches – Coach Discher who pushes him and always has his back, Coach Sanderson for teaching him everything he knows, and Coach Shaffer because he has spent more one-on-one time with him and has helped him better himself personally and athletically. Mair finished second at 170 pounds in last year’s state finals, losing to Maple Mountain senior Kimball Bastian, so he entered this year as the favorite to get to the top step on the podium. Mair also has hopes of a future in the sport. He is an outstanding student who is able to keep up with school and wrestling. He plans on serving a mission for The Church of Jesus Christ of Latter-day Saints after high school, and then seeing where his future in wrestling will take him. 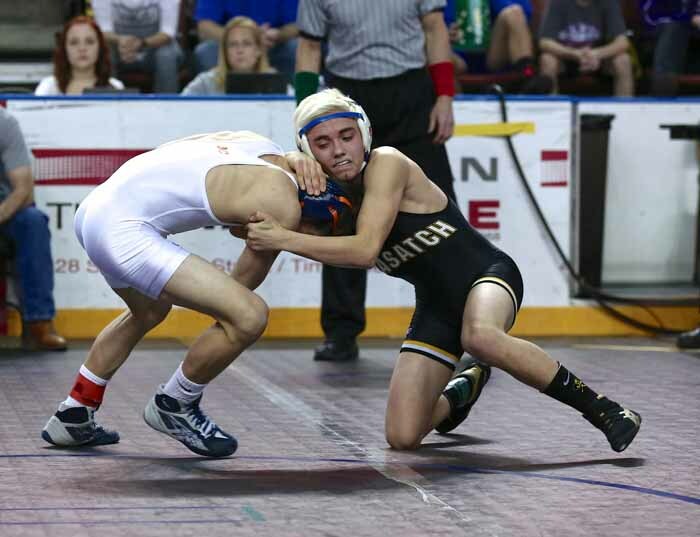 Wasatch High junior Ria McCarthy wrote the Braiden Parker story & Wasatch High senior Carly Wegner wrote the Payton Mair story on Wasatch wrestling as part of the Preps Utah/Nu Skin student journalism program.